TWB480-DS Attendant Control Mount | Stealth Products, LLC. 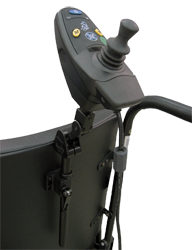 The TWB480 hardware can be used as an ideal method of attaching an attendant or secondary joystick. With the link style hardware you have sleek visuals and limitless adjustment options!